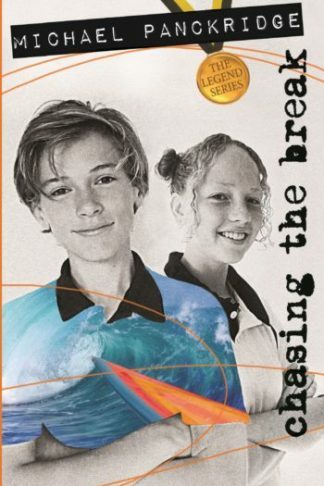 View cart “Chasing The Break – Single copy” has been added to your cart. Mitchell Grady is the new boy at Sandhurst School. Every year, the students compete to be the school’s Sporting Legend — the best out of eight sports. The first round is in the surf at the school camp. Mitchell is good, but is he good enough? Travis Fisk, the school bully, doesn’t think so. Who will be the Legend of Surf? Find out when they go chasing the break. Click here to read reviews about Chasing the Break and the Legends series. (Age: 10+) Highly recommended. Sports. School. With the upper primary reading group such a hard batch to satisfy with good books, it is great to see the republishing of Michael Panckridge’s exciting series, The Legends. This is most welcome, with the series repackaged with an up to date cover and blurb, designed to appeal to this difficult group of the reading public. Each of the eight novels in The Legends series are very school based using day to day encounters to develop the plots, involving sports which are part of the school’s competitions. Chasing the break involves a surfing competition at Sandhurst Primary School. One boy, Travis Fisk, won the competition at last year’s annual beach camp and intends to win again, but he is challenged by the new boy at school, Mitchell Grady. Told in short, easy to read chapters, the characters are well developed and identifiable, and the integrity underlining the story is easily in reach of every reader. They will cheer the hero as he strives to win despite the odds, overcoming the antagonism of the antihero of the story. Against the spin has a similar plot line, with Travis nursing his wounds and Mitchell shining on the cricket field as well. But this involves more of Travis’ undesirable bullying coming to the fore, and Mitchell and his friends having to deal with his antics both on and off the sporting filed. Exciting, fast paced and easy to read, each of these stories is about one hundred pages long with scores and quizzes at the end for further excitement. The whole set will rarely be left on the shelf. Chasing the break by Michael Panckridge is a gripping and exciting book. Mitchell Grady has moved to a new school, Sandhurst. He soon finds out about the Legends Competition, a series of competitive sports that are played to find the Sandhurst Legend of Sports Champion. But on Mitchell’s first day he meets Travis Fisk, a competitive boy who will do anything to win. I really enjoyed this book because of the sports (the Legends competition was awesome! ), the action and the rivalry between Travis and Mitchell. I loved it so much I can’t find anything negative to say about it. I would recommend this book for kids in Year 3 to 5 because it’s a great way to get them interested in sports and it is a fun read. It would also appeal to any gender as there are two competitions, one for girls and one for boys.